Than this our land, so great and wide! Als hier das unsre weit und breit! The National Executive has initiated a project to collect and preserve our archive materials. We have formed a partnership with the The Multicultural History Society of Ontario (MHSO) and several other Baltic organizations, who are experiencing similar needs for their materials. Our group has been meeting regularly since early 2014 and together we will be seeking grant funding to get us started on this most important and worthwhile endeavor. We have already received our “seed” collection from Edmonton and are hoping to add to this collection in the very near future. More details and information will be provided in the fall edition of “Blaue Briefe”. There are still copies of the memory book “C.B.I.A.S. Remembers 60 Years in Canada” available for sale – Purchasing details can be found under Publications tab. The Spring issue of the Blaue Briefe will be published soon! C.B.I.A.S. Members can expect to receive a copy from their branch or by mail in mid-May. If you would like to receive your copy by email, please contact your branch executive. Our website is updated periodically, so please check back again for the latest news and information. Many thanks to Ernest von Rosen, President of AMG Media Works Inc. for his help in re-designing our website! 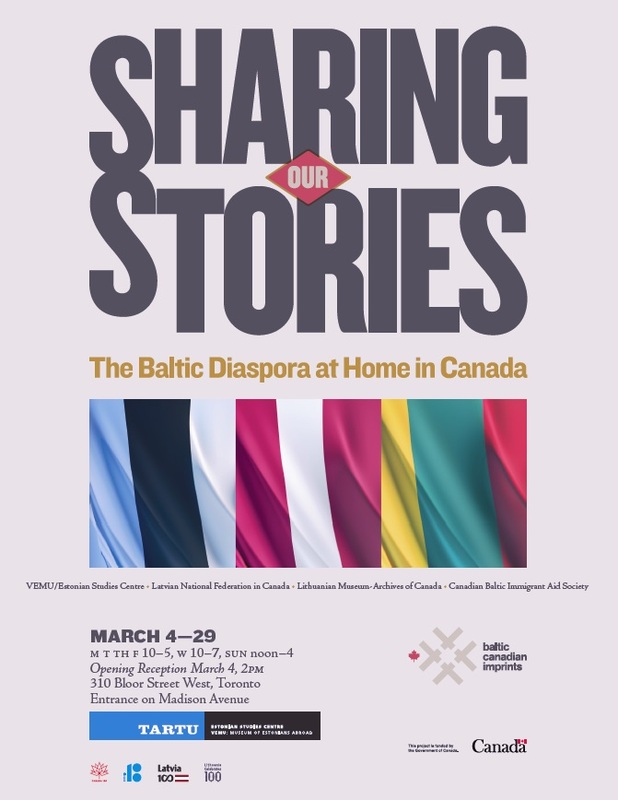 You are invited to attend the Baltic Canadian Imprints “Sharing Our Stories” exhibition to be held at the Estonian Studies Centre (Tartu College), 310 Bloor St. West, Toronto from March 5th – March 29th, 2017. The exhibit will be open: M T TH F 10am-5pm, W 10am-7pm, SUN noon – 4pm. An opening reception will be held on Saturday March 4th (2-5pm) – Please R.S.V.P. if you wish to attend.